Association “Will for Life” of the people with cerebral palsy and infantile paralysis from Velika Plana is providing fifteen beneficiaries with work ability with a job and skills that are valued on the labour market. 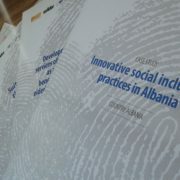 This assistance comes through the Project „Equal Chances“, funded via Small Grants Programme of IRIS Network. We visited Centre in Velika Plana, so to feel impressions of activists and beneficiaries involved in programme. We were welcomed by President of the Association “Will for Life” Radovan Radulovic and the activist Duska Stupar, who took us around the Centre and showed the premises. Day Care Centre “Lane”, which exists since 2012, consists of Day Care Centre for children with disabilities and Work Centre for adults with disabilities. Also, the Association has at disposal Club “Heart into the hands” for disabled, provided by Municipality of Velika Plana. Beside primary objectives such as providing daily services for disabled, premises of the Centre are also used as a space for workshops, educative and entertainment programs. Under the Project “Equal Chances”, Work Centre was fully equipped and then used for training, during which the beneficiaries learnt how to produce decorative items. Recently finalized training course, which lasted 21 days, had involved 15 of the Centre’s beneficiaries with work ability into the process of self-actualization which is, according to Duska’s words, essentially important for their social inclusion. “Through the training, selected participants have gained elementary knowledge skills needed for decorative items’ production. The training also raised their self-confidence and ability to be employed, which is essentially important for them. We made selection based on work capacity assessment. Selected fifteen have learnt how to produce decorative candles, other souvenirs, clocks, magnets in different forms, icons, keychains and Easter baskets”, Duska is explaining to us while we’re sitting in the backyard. Wide, covered in greenery, surrounded by conifers – the backyard is place for playing and resting after workshops for all of Centre’s beneficiaries. We had a chance to see impressive collection of already produced items, stored in Work Centre, but also to observe the creation process – two of beneficiaries were very kind and presented their work to us. Process of decorative candles’ creation, for example, requires a lot of their focus, but it’s creative and makes them more independent. All items are being sold on the street stall in the centre of Velika Plana, once a month. This makes their creators economic beneficiaries, which is of high importance. As Radovan has explained, people with cerebral palsy are extremely vulnerable group, because of narrow working abilities which cause poverty. “’Equal chances’ is a huge step forward for people with disabilities, because the project is actively encouraging and involving them in working process. 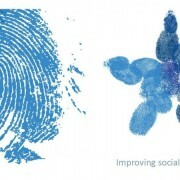 First of all, the step forward means raising the average of social inclusion of disabled. Secondly, the project insures direct economic benefit for them and their families – by selling items”, Radovan said. As it was considered in discussion with Radovan and Duska – the social changes, which are to improve life conditions for people with cerebral palsy, are coming slowly and require a lot of efforts. It is important to underline that project brings long term benefit to people who are facing these difficulties – those who passed the training course can use improved skills long after completion of the project, which makes positive influence on their lives and economic status. “Thanks to Small Grant Programme of IRIS Network we finally could equip the Work Centre, which created opportunities for job trainings, increasing the number of employed disabled people and stronger engagement in overcoming poverty in the community of people with disabilities”, said Radovan. He added that “Equal Chances” project strengthens relations between the Association “Will for Life” and local authorities – this partnership will insure permanent employment for some of Centre’s beneficiaries in future. It wasn’t easy when it comes to leave-talking, but we left under the impression of optimism. We left beneficiaries in working atmosfere – the future we want to create together is becoming presence.